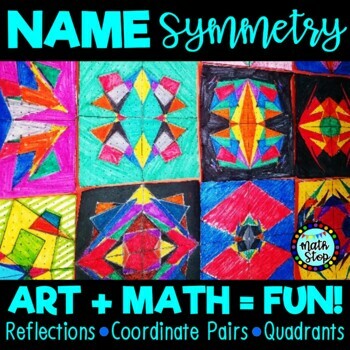 Want to incorporate art and math? 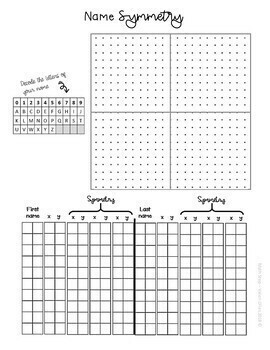 Help your students develop their knowledge of graphing coordinate pairs, quadrants, and reflections about the x and y-axis with this fun and engaging art activity. 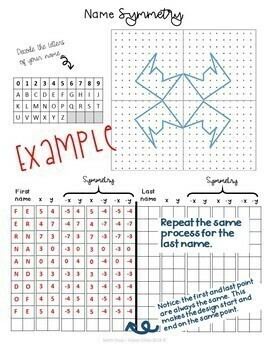 Students personalize their experience by using the letters of their name to decode them into arbitrary numbers from a decoder box. This gives the letters of their name a coordinate pair. In the end everyone has a cool design that represents their own name. They LOVE it! Included in this product are complete directions and four different versions. The one you supply your students with will depend on their level/needs. 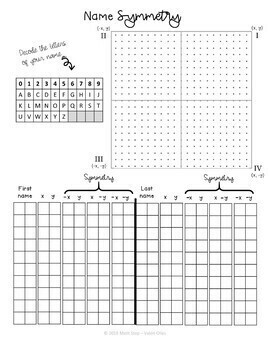 Also included is an example design to accompany the directions to make it easy to understand how to fill in the boxes and decode your name. Thank you so much for leaving feedback. Your time is very much appreciated!